This post was written with the expertise of Smith Heating & A/C Service, a company that provides the best HVAC repair in Athens, Georgia. A thermostat cannot just be placed anywhere in a home. There are several reasons why it is important to install a thermostat in a correct position. You don’t want too high of a heating or cooling bill and certainly, you want all the rooms to be comfortable. Here is some information on where to place a thermostat in your house. The Purpose of a Thermostat. 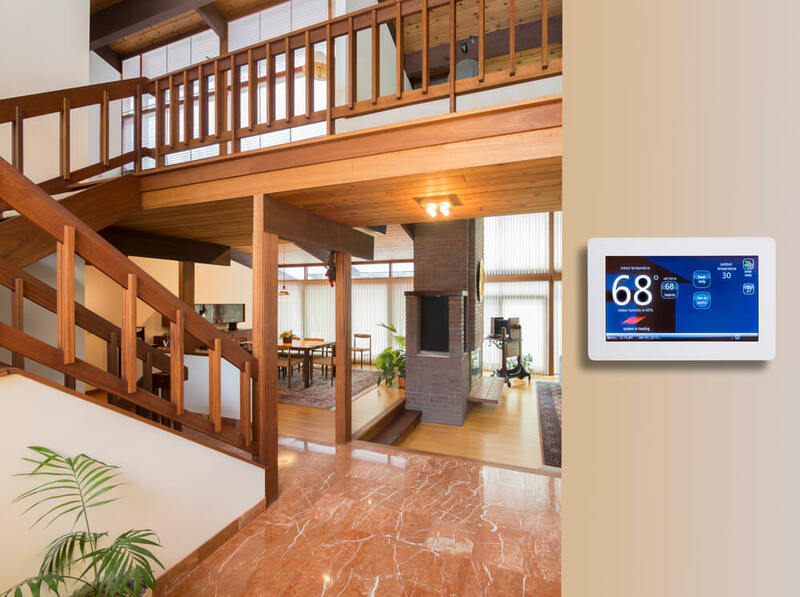 The entire purpose of a thermostat is to control the temperature of the home or building. By setting the thermostat to a certain degree it will allow the unit to either cool or heat the home to the desired temperature. However, there are some things that can affect a thermostat such as placement. This can cause damage to the unit overworking it. Where Not to Place A Thermostat. There are some places that a thermostat should just not go. By placing the thermostat in such places, it can cause the unit to overwork or under work. This can result in a very uncomfortable home. It may even cause damage to the unit resulting in a lot of money either in repairs or electrical bills. Do not place a thermostat near air vents. If a thermostat is placed near an air vent, then every time the unit turn on the thermostat will quickly ready the air being put out. In turn, this will cause the home to not fully cool or heat up to the proper temperature. This can also cause an increase in electrical bills. Another bad place to set a thermostat in the line of direct sunlight. This can cause the thermostat to have false readings. It can make the thermostat think the house is much warmer than what it is causing the air condition to turn on and the heat to turn off too quickly. Windows can give a thermostat a bad reading. This is also true for having the thermostat placed near exterior doors. This can cause a draft to hit the thermostat and causing the unit to turn on when it is not needed. Doors can be opened a lot causing the thermostat to get a reading that will cause the unit to either cool or heat the home. The laundry room can get a bit warmer than other rooms due to the dryer or washing clothes on hot. It is important to not place it near the laundry room. The kitchen is another place that should be avoided when placing a thermostat. The oven can give off false readings as well as the stove. It should go without saying that a bathroom is not a good place for a thermostat either. This YouTube can offer more information on where not to place a thermostat. Where to Place the Thermostat? So, now that all the places a thermostat should not go have been laid out, where should a thermostat be placed in a home? There are several things to take into thought when placing a thermostat. For one, the thermostat should be placed on an interior wall to avoid drafts and misreading. Avoid all of the places above and take into thought some of the things listed below. A thermostat should be placed on an interior wall avoiding all of the places listed above. However, think about the room that you are most in. If everyone tends to go to the den or living room, then that will be a better place to put a thermostat. This room will be the most accurate room and most comfortable for everyone in the home. If at all possible, the thermostat should be placed in the center of the home. Avoid putting the thermostat in a hallway. Try to place the thermostat in the center of the home but do avoid areas that are listed above. Here is some more information on where to place a thermostat in your home at cadetheat.com. Somethings That Can Cause A Thermostat to Misread. There are some things that can cause a thermostat to misread and either cool the home too much r not enough. The same goes for heating, it can either run the heater too much or not enough in cooler months. By placing a thermostat in the center of the home avoiding all crucial areas above and putting it in the room most used, it should work properly. Placing it too close to a source of heat. Placing the thermostat in an area where drafts occur. Placing it on exterior walls rather than the interior. Home decorating can be tricky. It’s hard to know what you need to do. By doing your research, you can ensure that your home looks great. Selecting a personal injury attorney is a very important task. You should put time and research into it to insure you are going with the best option for you. The function of a garage door is meant to make life easier. It is an effortless way to enter your home at the push of a button, only exiting the car once you are safely inside your garage. The success of any military mission depends on a myriad of factors, the most important of which is security.